Cloughjordan Arts | We need your help to bring this exciting project forward! We need your help to bring this exciting project forward! Cloughjordan Arts CLG, the not-for-profit company developing the Cloughjordan Community Amphitheatre, is seeking to raise €20,000 to complete the first phase, and to open the facility for public performances in Summer 2017. So far the company has raised and spent €60,000. This money was raised through local fundraising combined with a 1916 Centenary Special Projects grant from the Department of Arts Heritage and the Gaeltacht and Tipperary County Council. The JVM Trench Trust, a philanthropic trust with a paticular interest in the Cloughjordan area has committed to supportIng us through our first 3 years of operaIon. 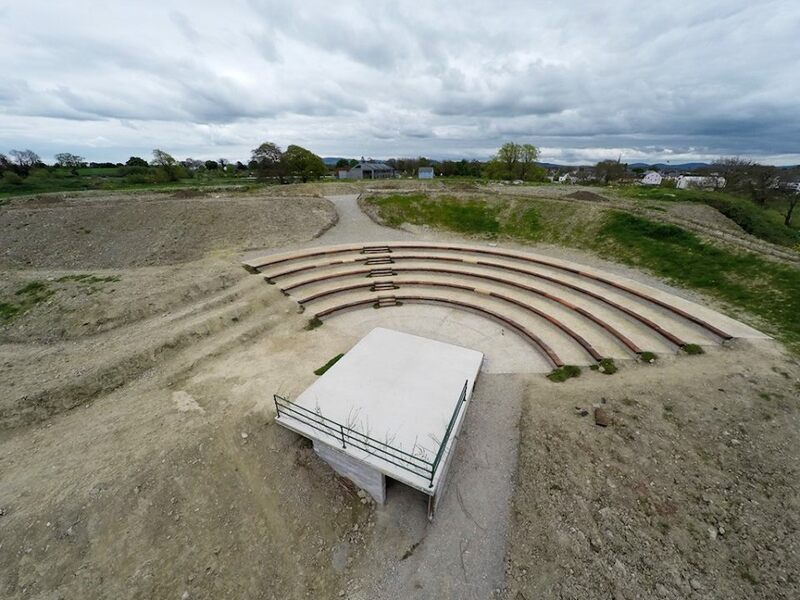 The amphitheatre itself is situated within the lands of the Cloughjordan Ecovillage, a registered educaIonal charity. Cloughjordan Arts CLG will operate the facility under licence from this charity. In order to bring this exciting project forward we are asking for your help! Click below to make a donation now!